Soraia Mateus is the founder and Director of UK Princess & Prince International Pageant. Soraia Mateus started UK Princess & Prince International® in 2013. 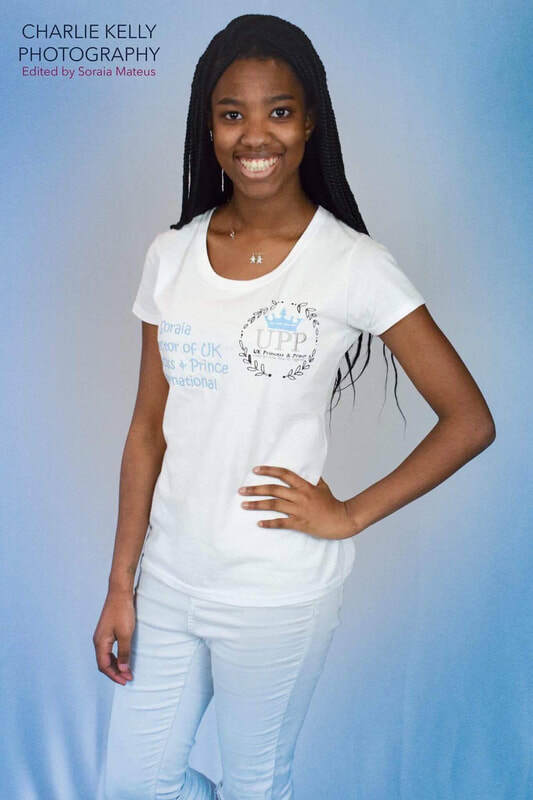 UK Princess and Prince International is a UK based beauty pageant promoting positive learning experience for contestants, Charity and Community work, Self confidence building to help you achieve your goals as well as equality and success. UK Princess & Prince International Beauty Pageant has become ” As become a successful glitz and natural pageant in the UK welcoming contestants from all round the country and worldwide. Our Regional heats Pageants and UK Finals are for Males and Females ages 0-18+ welcoming married Women and Mums. So many prizes to be won and everyone leaves with at least 1 sash and 1 crown.